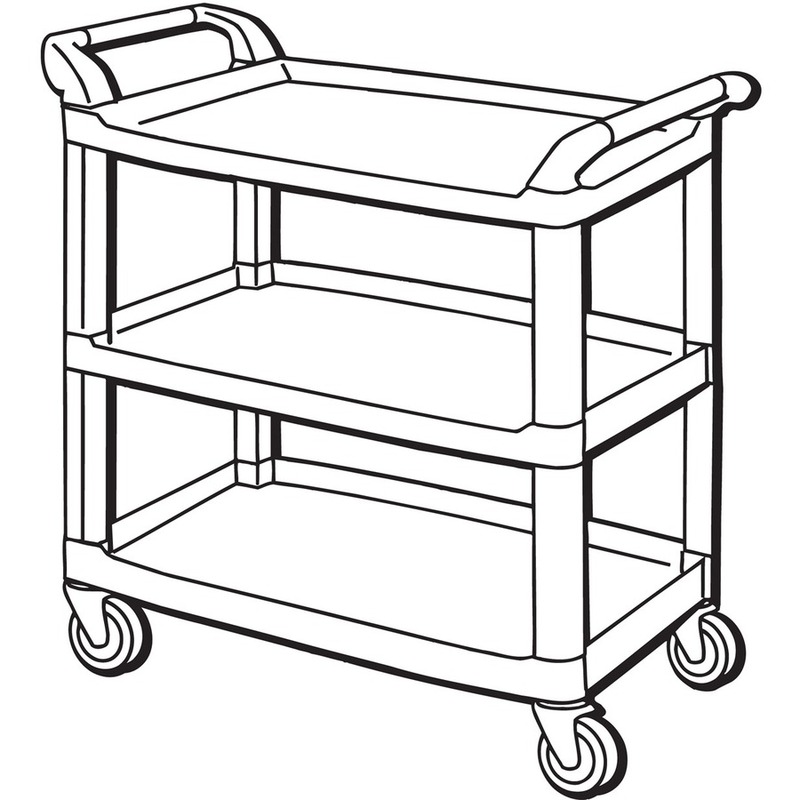 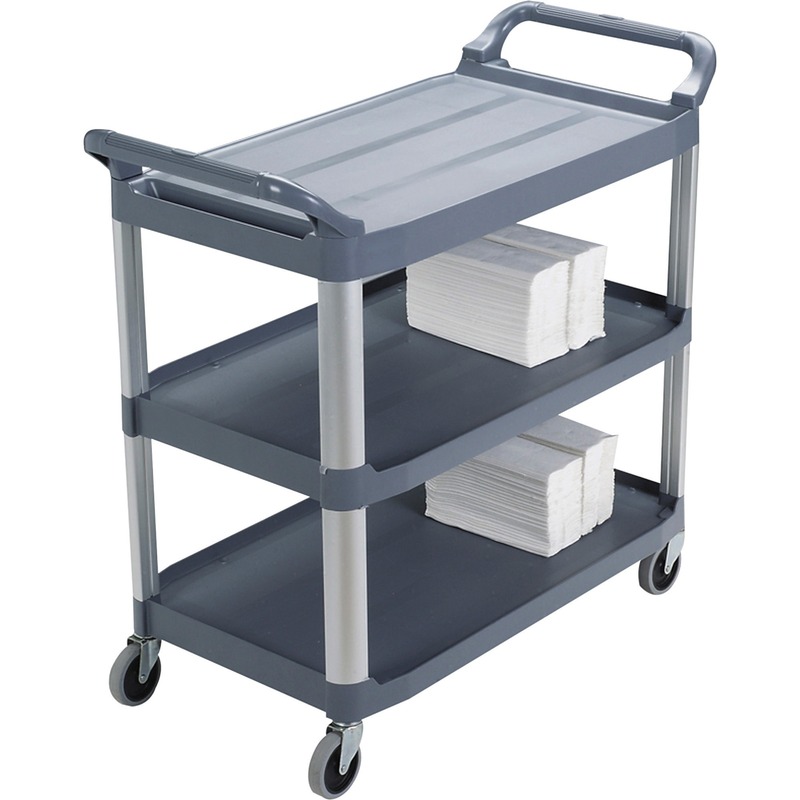 Three-Shelf Utility Cart is ideal for moving equipment from office to conference room. 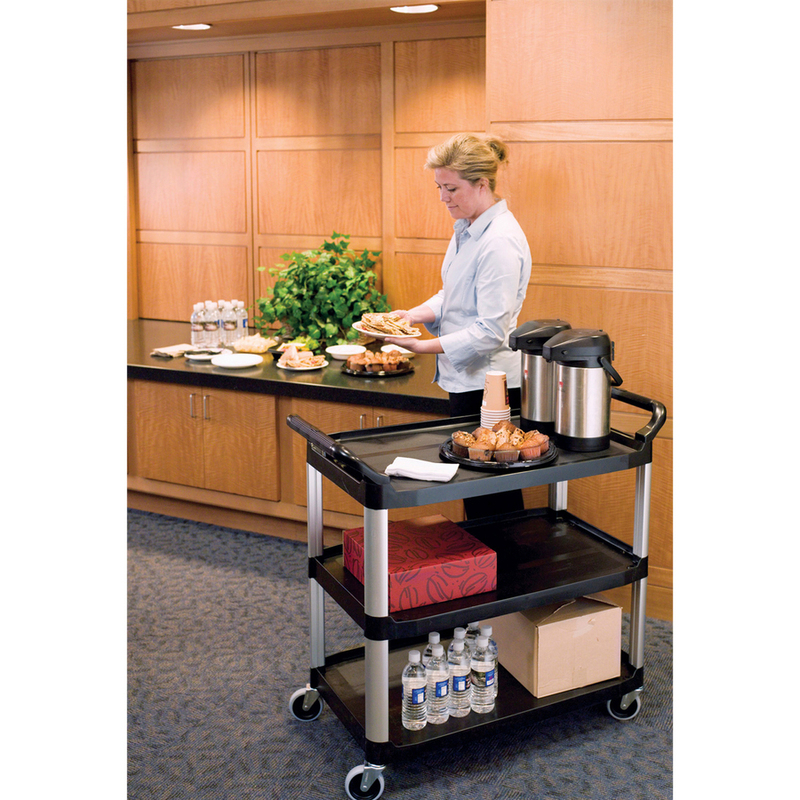 Design features tough, structural web construction; aluminum frame with 4" nonmarking casters and a large 20" x 40" three-shelf work area. 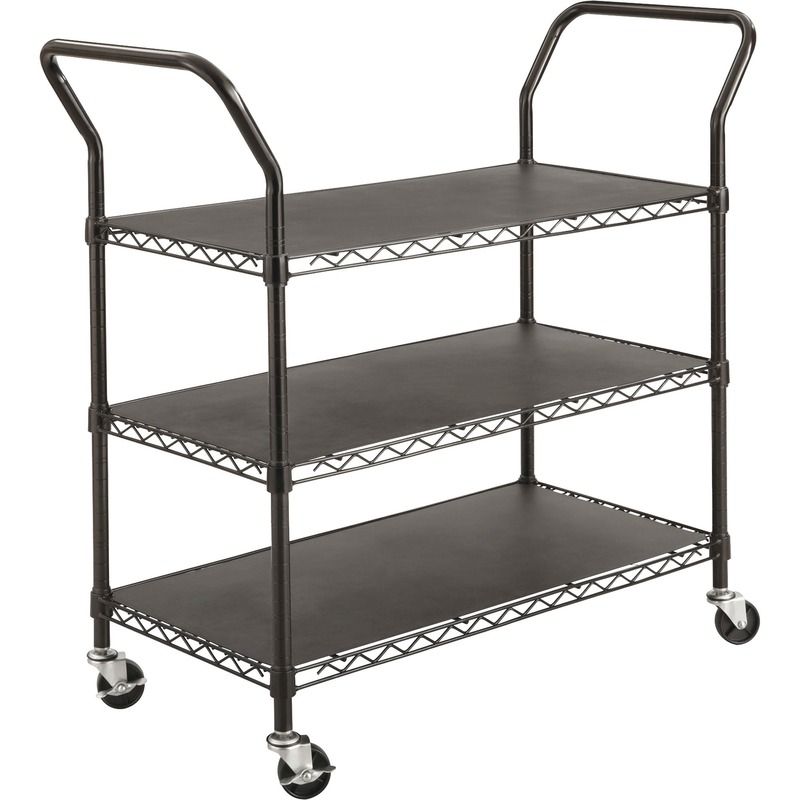 Textured surface resists scratching. 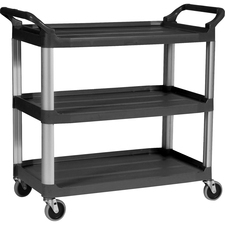 Utility cart holds up to 300 lb.